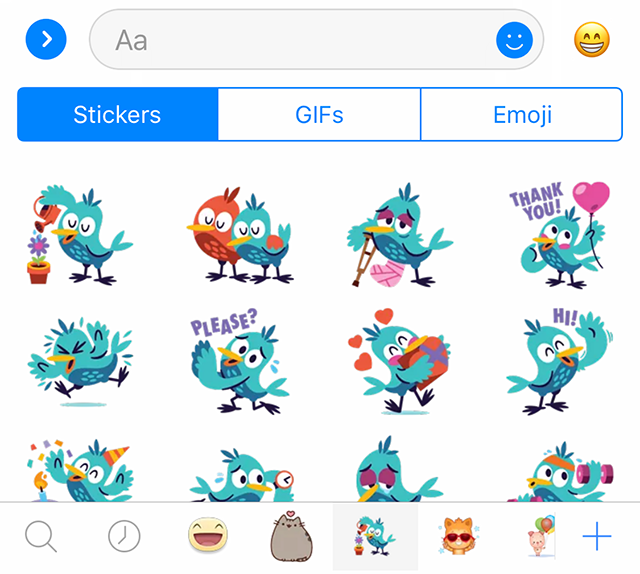 Facebook recently introduced augmented reality (AR) stickers in Messenger, allowing users to place animated stickers on top of their photos and videos that appear to be in the real world around them. 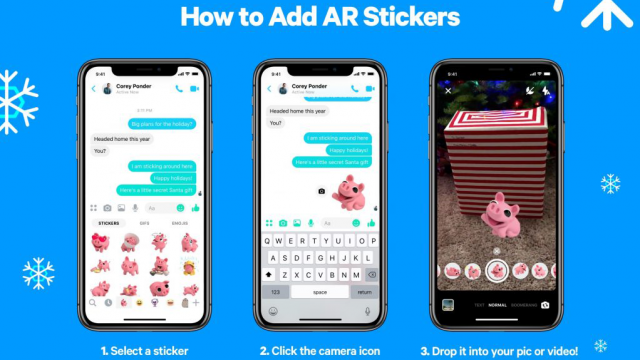 Our guide will show you how to add an AR sticker to a photo or video in Messenger. Step 1: In the conversation where you want to want to send a photo or video containing an AR sticker, tap the smiling face icon at the right side of the text entry field. Step 2: Tap “Stickers.” Note: If you recently sent a sticker in this or another conversation, you may not need to complete this step. 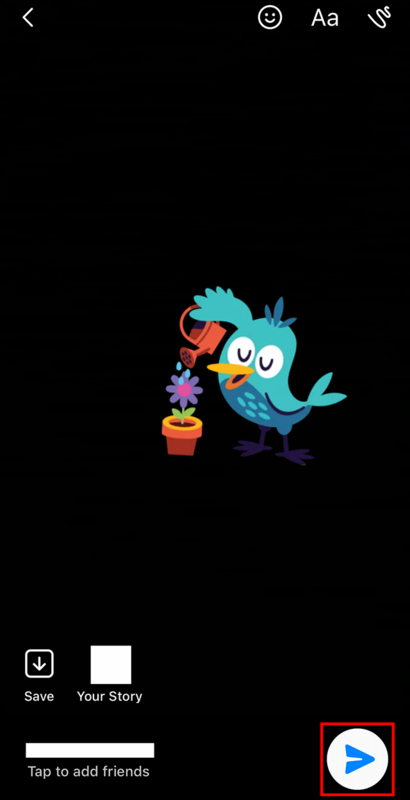 Step 3: Tap the desired sticker to send it in the conversation. Note: You can view the different collections of stickers you’ve downloaded (where applicable) by tapping their icons at the bottom of the screen. If you want to browse stickers based on a mood or feeling, like “Happy” or “Active,” tap the magnifying glass at the far left side of the stickers menu. Tap the “+” in the bottom-right corner of the screen to browse and download additional sticker packs. 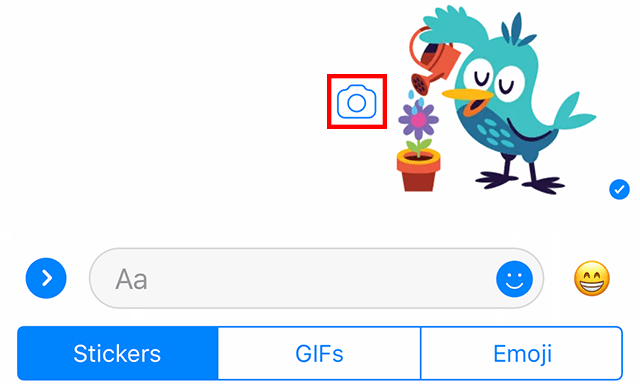 Step 4: Tap the camera icon to the left of the sticker you’ve sent. Step 5: Touch and drag the sticker around the screen to “attach it” to the desired place in your real world environment. 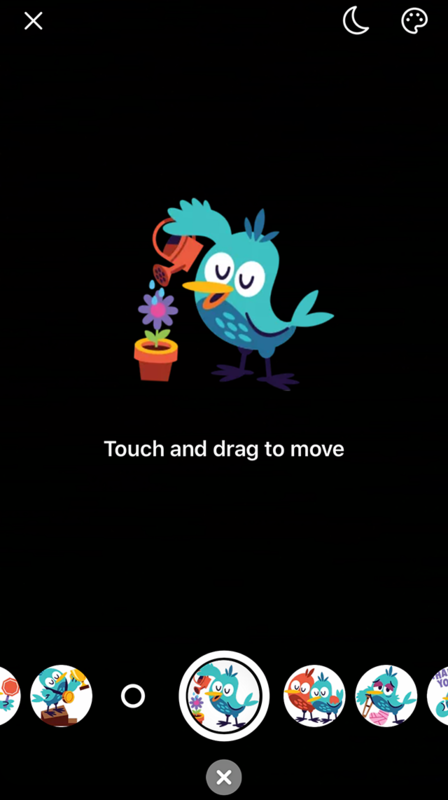 When you let go, the sticker will attempt to stay in place, even if you move your device. Note: If you want to switch to a different sticker from the same sticker collection, swipe left or right on the capture button at the bottom of the screen. Step 6: When you’re done arranging the shot, tap or tap and hold on the capture button to take a new photo or video, respectively. Step 7: From here, you can continue editing your post as normal. For instance, you can add text and other elements to your post, if you wish. When you’re done editing your post, tap the arrow in the bottom-right corner of the screen to send the post in your current conversation. Note: If you want to send the post to multiple users at the same time, tap “Tap to add friends” in the bottom-left corner of the screen to select additional recipients. You can also tap “Your Story” at the bottom of the screen to share the post to your Story, instead of your current conversation.